Family & friends are invited to attend visiting hours on Tuesday, October 23rd in the Vertuccio & Smith, Home for Funerals, 773 Broadway (Route 107) Revere from 9:30 a.m. to 11:30 a.m., followed by a funeral mass in the Immaculate Conception Church (Corner of Beach St. & Winthrop Ave.) Revere at 12:00 p.m. (Noon), immediately followed by interment in Woodlawn Cemetery, Everett. Born & raised in East Boston, he moved with his wife to Revere in 1971. His beloved wife of 58 years Concetta “Connie” (Correale) Petrivelli passed on September 14, 2017, just 13 months ago. Early in his working career, he was in the lobster & clam digging business, working for former companies such as N.E. Lobster Co. & Atlantic Fish Industries. For over 30 years, and until retirement, he worked as a Master Carpenter out of the AFLCIO, LOCAL #33-New England Reg. Council of Carpenters, for J.F. White Construction. He was known throughout the area for his expertise in wood-working. He served during the Korean Conflict with the U.S. Army as a Private 1st Class, from June of 1953 to May of 1955. He is the devoted father to Paula Tocco & her husband, Joseph of Revere & Erika Poste of Vero Beach, Florida. He is the cherished grandfather to Kyle J. Bendavid & his wife, Nikol of Revere, Brianna A. Poste of N.H., Anthony E. Poste & Eric Royce, both of Vero Beach, Florida. 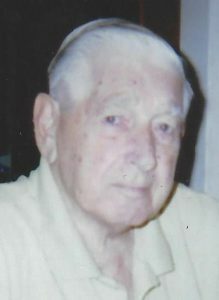 He is the dear brother to Josephine Powers “Josie” of East Boston, Gino Petrivelli & his wife, Anna of Largo, Florida & Barbara Lena of Stoneham & the late Jennie Coleman, Francis “Frank” Petrivelli, Domenica Smith, Adeline “Addy” Petrivelli. He is also lovingly survived by his two (2) great-grandchildren, Alessia & Ryan and many nieces, nephews, grand-nieces & grand-nephews. Tuesday, October 23rd, from 9:30 a.m. to 11:30 a.m. In lieu of flowers, remembrances may be made to the National Kidney Foundation, 209 West Central St., Natick, MA 01760.